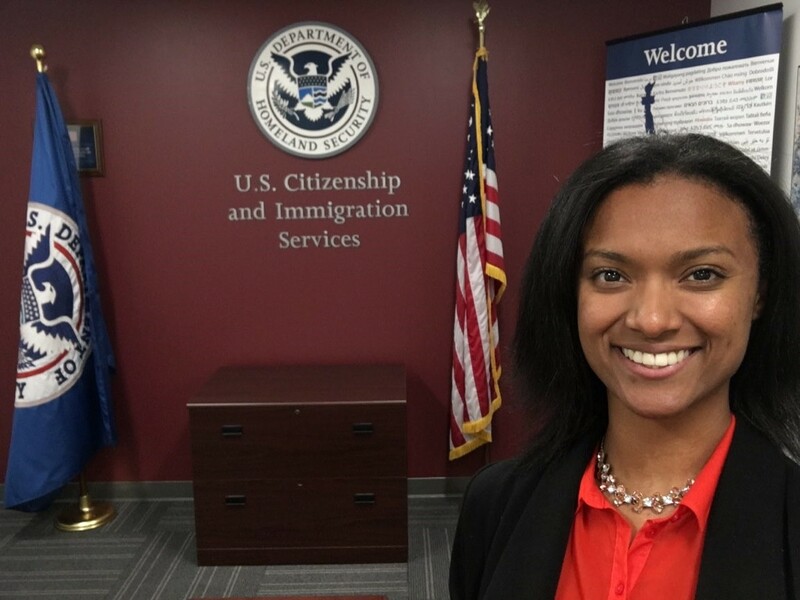 In Summer 2018, I had the opportunity to serve as Student Intern at the United States Citizenship and Immigration Services in Los Angles, California. As a Student Intern, I worked on a variety of assignments and projects including the development of a new Leadership and Employee Development Training Program. My job functions included project management, event coordinating, and helping with the hiring process by scheduling interviews and arranging the interview panel. 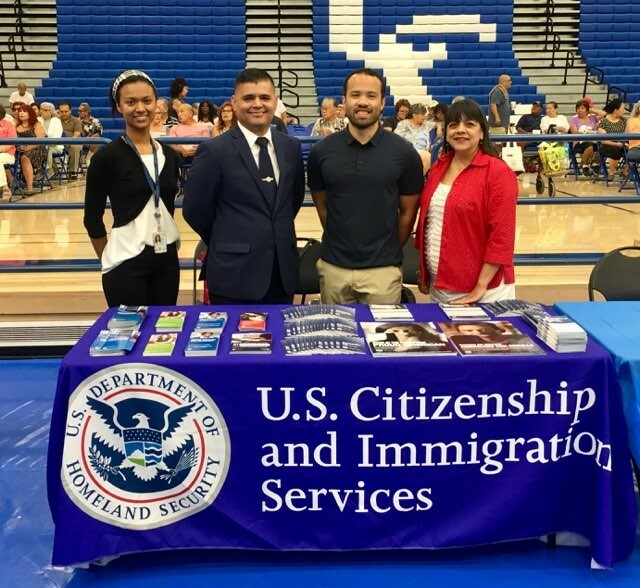 I had the opportunity to assist Immigration Service Officers as they interviewed applicants for citizenship or lawful permanent resident status and assessed documentations to either grant or deny applications. The Leadership and Employee Development Training Program aims to serve as the master program that will incorporate existing trainings and add new trainings on leadership, technical and other skills. My role was to assist in the stages of program development and implementation by drafting a proposal explaining the purpose and goal of the new training program for every employee at USCIS in the District of Los Angeles, creating the business rules and training courses, and designing the program logo. I accomplished this with the guidance, and under the supervision, of the Los Angeles County Field Office Director. A major highlight of my internship experience this summer was getting the chance to present the program proposal to the Los Angeles District Director, Deputy Director, Chief of Staff and five Field Office Directors. 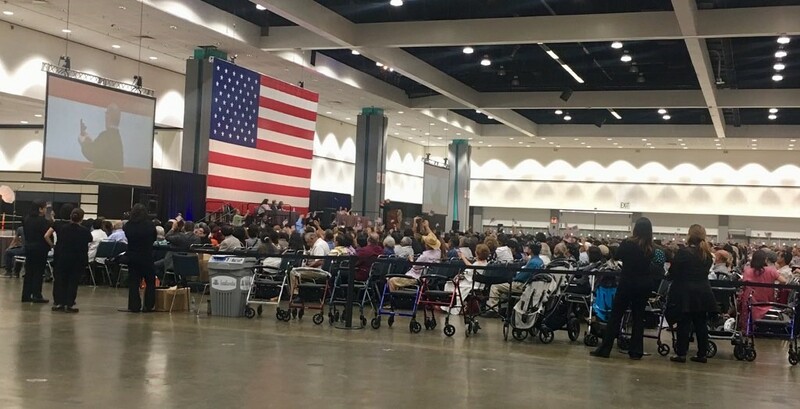 In addition to being involved in various exciting projects another incredible experience I had was attending the oath ceremonies in July and August where honorable judges officially granted applicants citizenship. I enjoyed every moment of it especially the part where I got to issue certificates of citizenship. What rewarding moments those were. 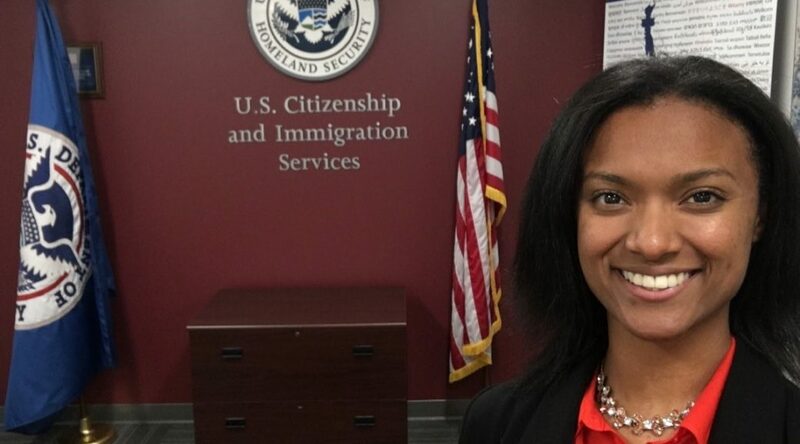 I take pride in what I did and all that I was able to accomplish during my time at USCIS. July 24th, 2018. Oath Ceremony at the Los Angeles Staple Center. Approximately 10,000 applicants became citizens that day. 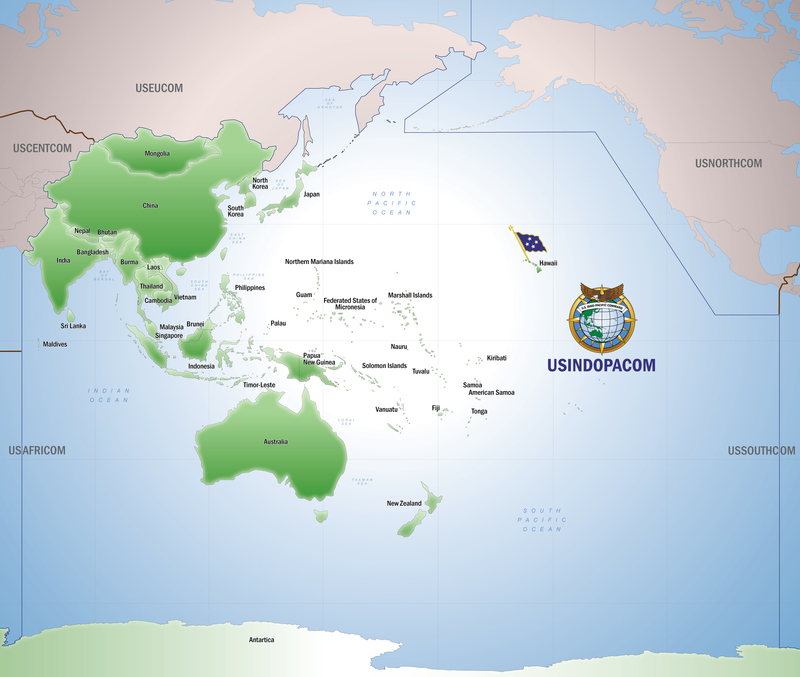 The U.S. Department of Defense’s USINDOPACOM headquarters is located on Camp HM Smith, Oahu, Hawaii. It was recently renamed from USPACOM to reflect the importance of India in USINDOPACOM’s Area of Responsibility. 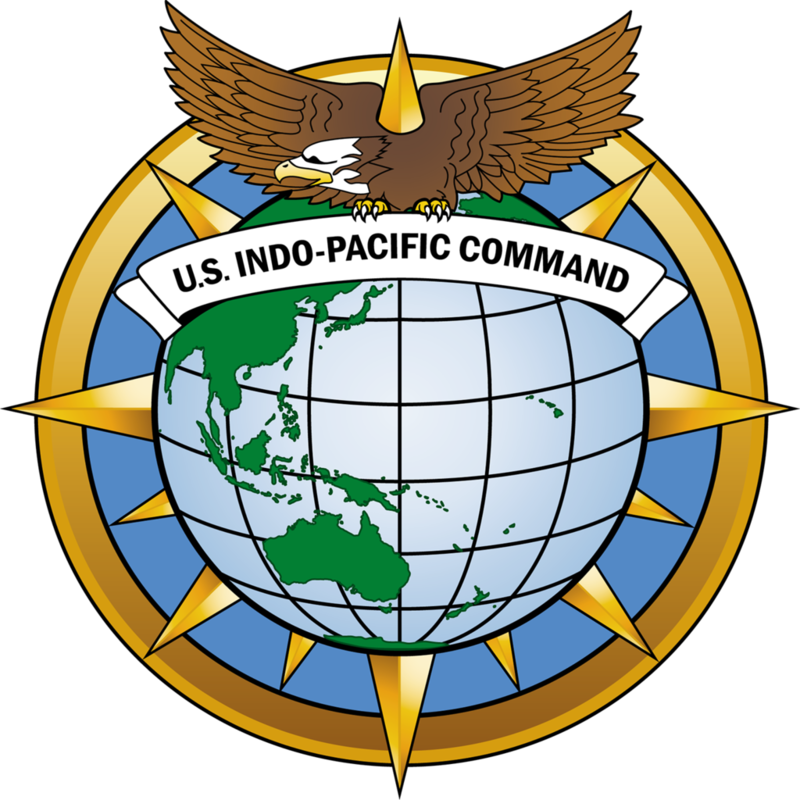 USINDOPACOM is unique among the Global Combatant Commands (GCC) because it is the only GCC with its subordinate Army, Navy, Air Force, Marine Corps, and Special Operations Commands co-located in the same state and island. Additionally, the island of Oahu is home to Joint Interagency Task Force – West (JIATF-W), the Center for Excellence in Disaster Management and Humanitarian Assistance (CFE-DM), the Daniel K. Inouye Center for Asia-Pacific Security Studies (APCSS), and the National Oceanic and Atmospheric Administration’s (NOAA) research facility. An internship with USINDOPACOM offers an amazing opportunity to learn about all of these organizations. My position was as a Visiting Fellow in the J372 office. The J372 is a sub-category of the J3 Operations directorate. The J372 office consists of Multinational Programs and Theater Security Cooperation Exercises. 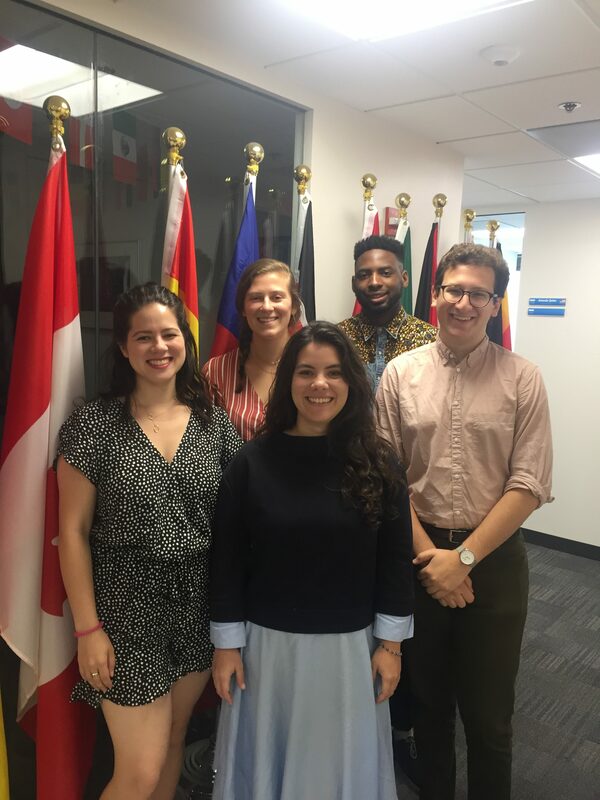 Multinational Programs, where I interned, consists of two programs: the Multinational Planning Augmentation Team (MPAT) and the Global Peace Operations Initiative (GPOI). While my internship was officially with GPOI, I was also able to work extensively with the MPAT. GPOI was created in 2004 as the U.S. contribution to the broader G8 Action Plan for Expanding Global Capability for Peace Support Operations because of the strategic importance of international peace operations to US national security. Increasing the capability of partner nations to conduct international peace operations was seen as a cost-effective way of increasing world stability and sharing the burden of conducting peace operations. To meet this objective, GPOI funds training, equipment, and facilities building capabilities worldwide for USINDOPACOM’s twelve regional partners. GPOI is unique in that it is a US State Department program that is executed by the US Department of Defense to build capacity of partners to train and sustain peacekeepers who deploy to United Nations missions around the world. Like the GPOI team, the MPAT works to improve the capabilities of multinational partner forces. Unlike the GPOI team the MPAT is regionally focused and was an initiative developed by the regional Chiefs of Defense in 2000 with the goal to facilitate the rapid and effective establishment and/or augmentation of a multinational force headquarters (MNF HQ) and/or other multinational military and civil-military coordination mechanisms. In order to improve the ability of regional multinational response to natural disasters, humanitarian crises, and any other operation in USINDOPACOM’s area of responsibility that fall short of war, they have developed the Multinational Forces Standing Operating Procedures (MNF SOP) and conduct the TEMPEST EXPRESS exercise. The MNF SOP is a living document that collects best practices, compiles and defines new terminology, and standardizes methods for all of these operations. Yearly MNF SOP conferences are conducted to update the document as well as create relationships between military planners and civilian organization leaders active in the region. These relationships are seen as added benefits that decrease response time when different organizations arrive to deal with a real-world crisis. 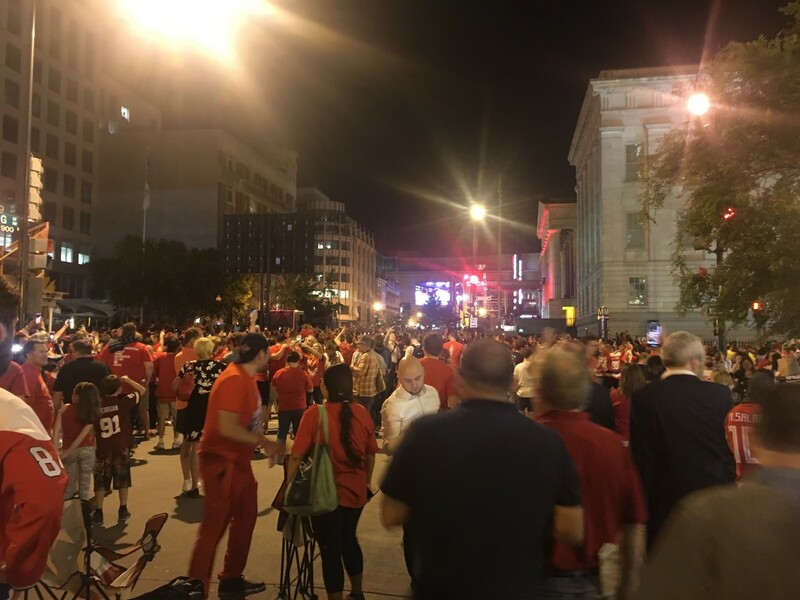 The TEMPEST EXPRESS and other theater security cooperation exercises are where the planners try to “break” the MNF SOP. It is a scenario-based exercise that allows the planners to work together using the MNF SOP to deal with a simulated crisis. Flaws exposed by the TE exercise and from real world use are then compiled into the MNF SOP at the next conference. Getting to attend the MNF SOP 20 conference in Wellington, New Zealand was undoubtedly the highlight of my internship. The conference sought to update and complete sections on Defensive Cyberspace Operations, Protections of Civilians, Logistics, Inter-agency Cooperation, Humanitarian Aid and Disaster Response, and the Glossary. I was assigned to the Glossary section which compiles new terminology, acronyms, and definitions from the other working group. 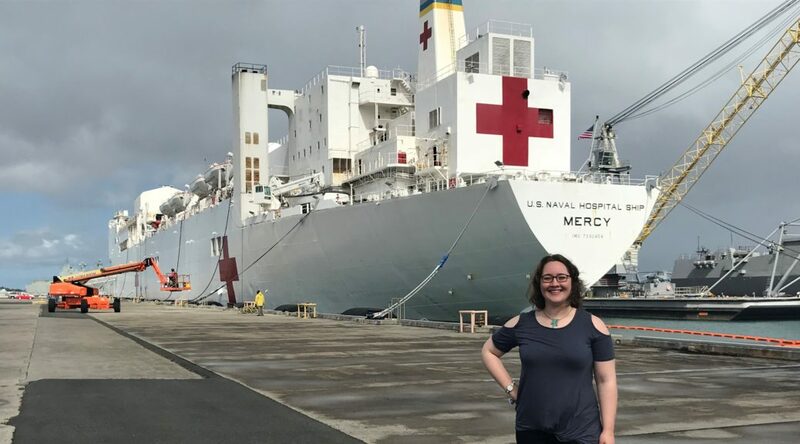 This allowed me a great opportunity to see what every section was working on as well as meet experts from foreign governments, USAID, the IFRC and other NGOs, and different directorates of the US military. I was also asked to research options for a regional case study to include in the Inter-agency Cooperation section. This greatly increased my familiarity with multinational operations in USINDOPACOMs area of responsibility. My background as a Special Forces Communications Sergeant has given me exposure to planning on the tactical level and this internship expanded that planning knowledge to include the operational and strategic level. My main projects working for the GPOI team was to create a spreadsheet that compiled the GPOI partner nations’ military force pledges to United Nations peacekeeping and identified the priorities for training programs location and subject. Creating the pledge tracker required research into all of the different types of military units that are sent to support UN missions. These included infantry, engineering, force headquarters support, medical, military police, reconnaissance, riverine, special forces, transportation and logistics units. For the MPAT I was assigned the task of incorporating the changes to the MNF SOP from the conference in New Zealand. 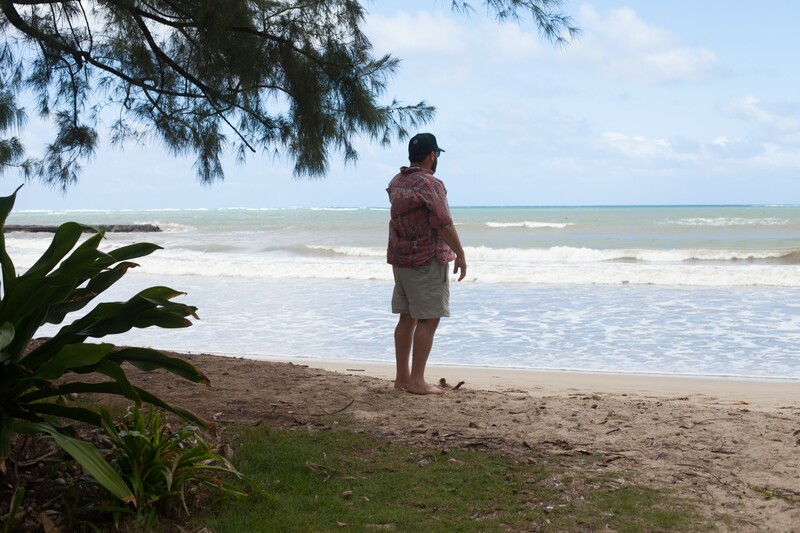 Oahu is a great place for recreation as well as professional development. The close relationship with my office was increased with participation in the MPAT fencing club and attendance of the MNF SOP 20 workshop. There are numerous hikes, beaches, and coral reefs that are great to explore with other interns in the program. The food is also unique due to the many cultural influences from Hawaii’s diverse immigrant population. Hawaiian poke is a personal favorite. Getting to know all of the great people in the office: Tak, Dan, Bernie, Joe, Bob, Bobby Ray, Murray, John, and Scott was a lot of fun. Additionally, getting to know all of the other interns from Texas A&M, University of San Diego, University of Hawaii, Johns Hopkins University, Stanford University and other schools was great as well. I want to especially thank Steven “Tak” Takekoshi, Crysti Woods, Dr. John Wood, Professor Robert Murrett, the Global Programs Coordinator at Maxwell, and Gerald B., and Daphna Cramer for their support during this experience. Chris Tonsmeire completed his MAIR degree in December 2018. 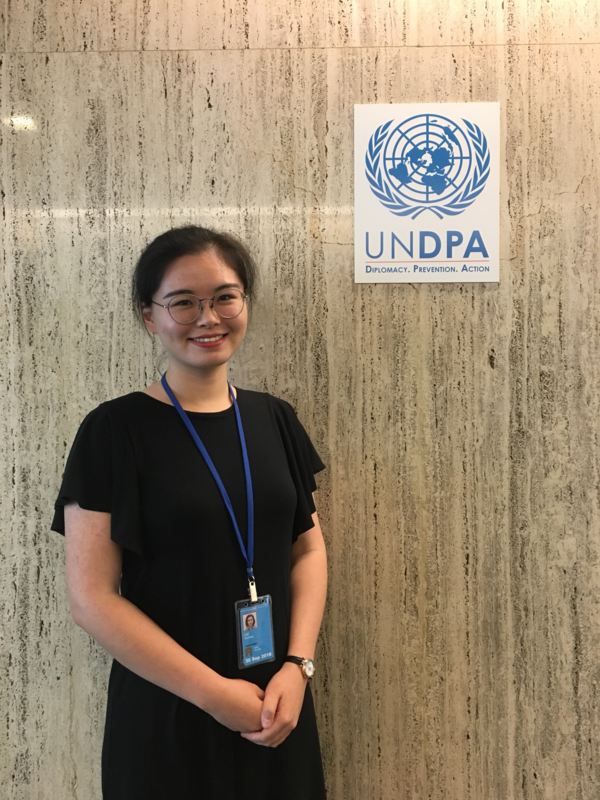 I received an internship offer from the Department of Political Affairs (DPA) at the UN Headquarters in New York City this summer. The DPA plays a central role in United Nations efforts to prevent and resolve deadly conflict around the world. The DPA monitors and assesses global political developments with an eye to detecting potential crises before they erupt and devising effective responses. The Department provides support to the Secretary-General (SG) and his envoys, as well as to UN political missions deployed around the world to help defuse crises or promote lasting solutions to conflict. The DPA is divided into two parts: Regional Divisions and Non-Regional Divisions. I was recruited by the Asia and the Pacific Division of the Regional Offices. Effective policy responses begin with sound and timely information and analysis – having a pulse on events as they develop. Primarily through the work of its regional divisions, DPA monitors developments and provides the Secretary-General with analytical reports and briefing notes to inform his decisions and shape his continuous diplomacy with the UN Member States, regional and non-governmental organizations and other actors. Senior DPA officials are called on frequently to brief the UN Security Council on global political developments, the status of UN peacemaking efforts and the activities of UN political missions in the field. My major duties were preparing background papers for summits in the Asia and the Pacific region, the General Assembly, SG’s visits to the region, and SG, Under SG and Assistant SG’s meeting with different nations’ UN missions’ permanent representatives. In addition, I contributed to writing regional issues reports, which advocate for regional and global solutions to international problems. I also carried out research regarding economic assistance from Asian nations to Pacific islands countries for infrastructure development. My research provided the teams with more information about how South-South cooperation builds sustainability and resilience in the Pacific region to reach the Sustainable Development Goals. My graduate study’s focus is on East Asia and the Pacific. Therefore, the UN internship was a perfect opportunity for me to explore what issues are UN concerns in the region and how the UN works on them. My supervisor offered me opportunities to work on almost all the issues that I am interested in. Other staff in the Division also welcome me discussing my questions with them. Besides daily work, I can access all the open meetings at the UN Headquarters and listen to ambassadors discussing the current international issues. The experience in DPA was genuinely eye-opening. I consolidated my knowledge in East Asia and the Pacific and obtained an overview of how the UN functions in global affairs. I spent the summer as part of the Maxwell-in-Washington program. I’ve always wanted to live in DC and Maxwell’s strong reputation in the district is largely responsible for what drew me to Maxwell in the first place. In addition to taking a class with Professor O’Hanlon on Who Will Rule the 21st Century, I spent the summer interning as a transatlantic security analyst with The Streit Council for a Union of Democracies. The Streit Council is driven to create better-organized relations between the United States and Europe, along with liberal democracies across the globe. In order to do so, the council aims to foster greater public awareness on the importance of the transatlantic relationship and to provide expert analysis, perspectives, and identify practical solutions for key policymakers. As part of the Transatlantic Security Program, our mission was to analyze prominent threats facing the US and Europe. 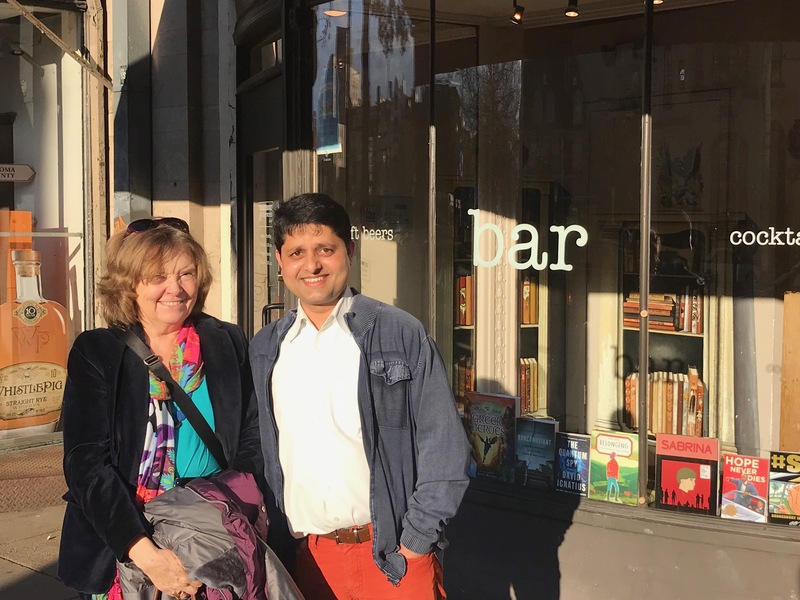 Working closely with Mitch Yoshida, a Maxwell alumnus, we closely followed events related to Russia’s resurgence, terrorism, the North Atlantic Treaty Organization (NATO), and the European Union’s Common Security and Defense Policy. One of my main tasks included daily submissions of pertinent news summaries. 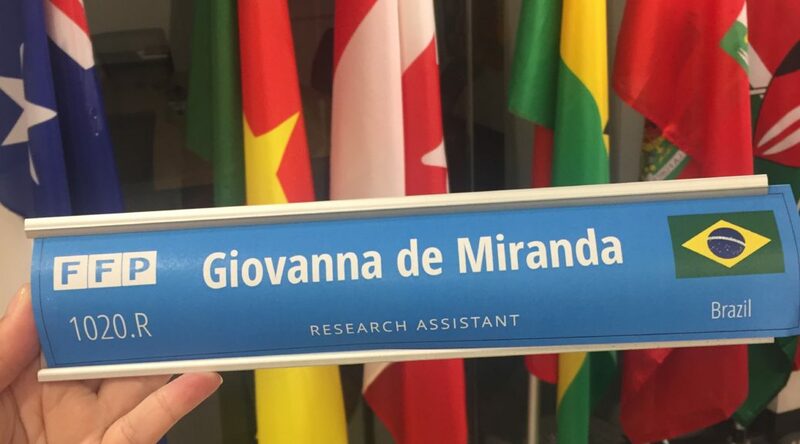 I was able to research and analyze major international events on a daily basis, gaining a greater understanding of transatlantic relations on a day-to-day basis in what turned out to be an eventful summer. Apart from the daily responsibilities, I was able to work on longer briefs. One of the major pieces I worked on was analyzing how the potential of a unified European army might affect NATO. The brief analyzed the history of the EU, dissected current events, political statements, and military proposals to better predict what a future relationship might look like. My time in DC this summer solidified my career interest. The Maxwell-in-Washington program exposes students to real world experiences on what they studied in Syracuse. My internship allowed me to apply the historical and analytical skills I learned while at Syracuse to current events. Although taking a class on top of a fulltime internship was challenging, it offered an opportunity to analyze situations from an academic perspective. My class was also a great place to network with classmates who have a lot of experience working in related fields. Whether it was through classes, the internship, or networking, my time in DC allowed me to grow both professionally and personally. Brendan Reaney was a Fast Track BA/MA international relations student student who graduated in December 2018. He also spent his last Fall Semester interning at the Atlantic Council in Washington, DC. 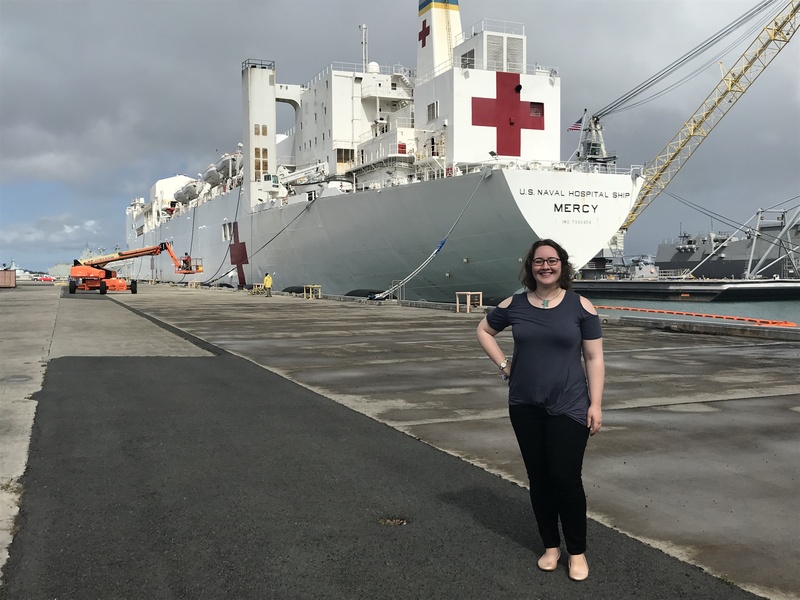 In June 2018, I arrived on Oahu to begin my internship as a Summer Fellow at the headquarters of U.S. Indo-Pacific Command, or USINDOPACOM. One of six geographic combatant commands under the Department of Defense, USINDOPACOM had recently assumed a new name (formerly, U.S. Pacific Command) as well as a new Commander, Admiral Phil Davidson, less than two weeks before I arrived. USINDOPACOM’s area of responsibility covers nearly half the earth’s surface and stretches from the west coast of the U.S. to the west coast of India, bringing with it a set of challenges as diverse as the region itself and encompassing several of America’s most steadfast allies. The dynamism of the Indo-Pacific was highlighted when my first week coincided with President Trump’s meeting with Kim Jong Un in Singapore. As part of the Strategy and Policy branch, which develops strategy and plans for the command’s area of responsibility in accordance with national guidance such as the National Defense Strategy, I grappled with a new language – Department of Defense acronyms – but received support and encouragement, and a crash course in the Napoleonic military staff structure, from those around me. As a joint command, USINDOPACOM’s staff includes personnel from the Army, Navy, Air Force, and Marine Corps, as well as Department of Defense civilians, contractors, and liaison officers from other federal agencies, each bringing different perspectives to the work of the command. One of the highlights of the summer was observing the 2018 Rim of the Pacific or RIMPAC exercise, the world’s largest international naval exercise, which takes place every two years in Honolulu. In addition to improving interoperability between forces of different countries (such as Vietnam, participating this year for the first time), RIMPAC is an opportunity for building international trust and cultural exchange. This was on full display during open ship tours, as vessels from the U.S., Japan, Australia, New Zealand, Singapore, India, the Philippines and other countries welcomed visitors aboard (with the Peruvian sailors offering samples of RIMPAC pisco aboard their ship!). 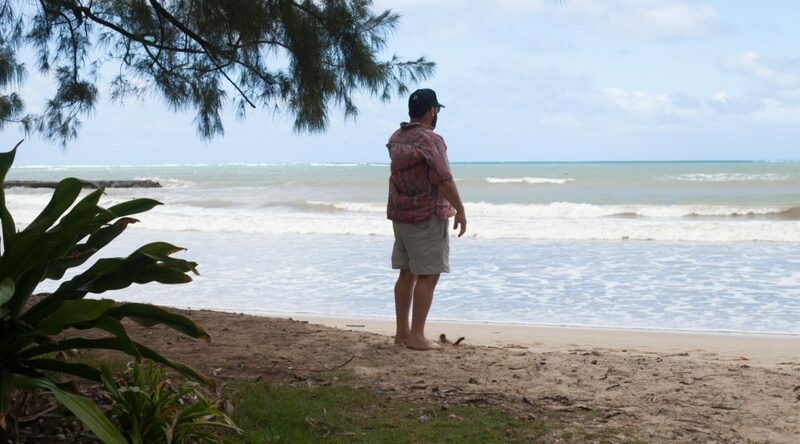 Working at USINDOPACOM throughout an eventful summer gave me an unparalleled opportunity to apply my academic work at Maxwell in national security and Asia-Pacific affairs to thorny strategic questions in a rapidly evolving environment – with just enough time to enjoy the beauty of Hawai’i as well. Libby Kokemoor is a joint MPA/MAIR student in her final semester. She is also a Robertson Fellow. During her second Fall Semester, she also interned at the U.S. Department of State. The Fall 2018 semester has been a remarkable period for both of my academic and professional career. I participated in the Global Security and Development Program at Maxwell-in-Washington at CSIS. The Global Sustainability and Development class was an extraordinary course taught by Professor Melinda Kimble. The focus was on the sustainable development goals (SDGs) and policy recommendations with an emphasis on climate change and environmental issues. The class discussions mainly concentrated on analyzing international agreements and action plans; assessing national policies in alignment with SDGs; and describing the economic, social and environmental interlinkages among various SDGs. The other course I was enrolled in was Statecraft and Smart Power in the Digital Era, offered by Professor Shannon N. Green. The course focused on a strong foundation on public diplomacy by the use of policy formulation, interagency decision-making, and the practice of public diplomacy. I was very much inspired and motivated with the public diplomacy programs administered by the US government agencies and other non-profit organizations. Those seeking employment in public service, NGOs, think tanks, and consulting firms would find this course most appealing. 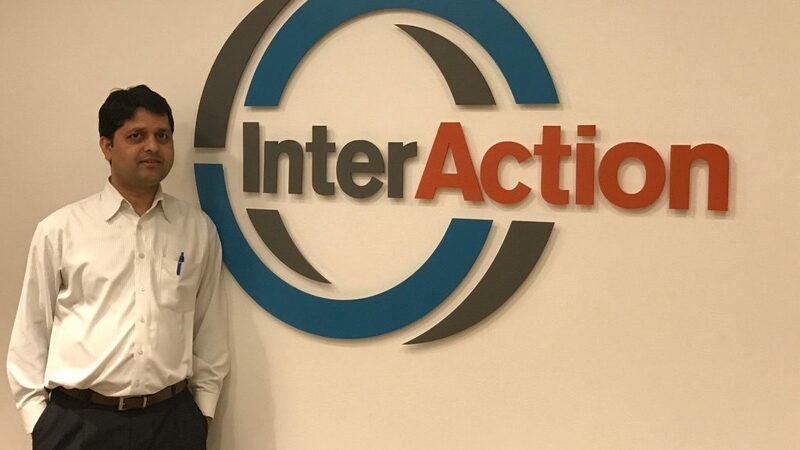 I worked as a Public Policy and Advocacy Intern at InternAction. It helped me to observe and analyze on the policy strategies of many of its member organizations by attending various events and policy discussion meetings. During the internship, my major assignment was researching newly elected US Congressmen and their political stand on foreign assistance. I accomplished this using advanced research and advocacy skills with my newly acquired knowledge on the American political system. I would like to offer special thanks to the InterAction team, Professor Ryan Williams, Samantha Clemence, and Isaac Olson for their great support and guidance during the period. 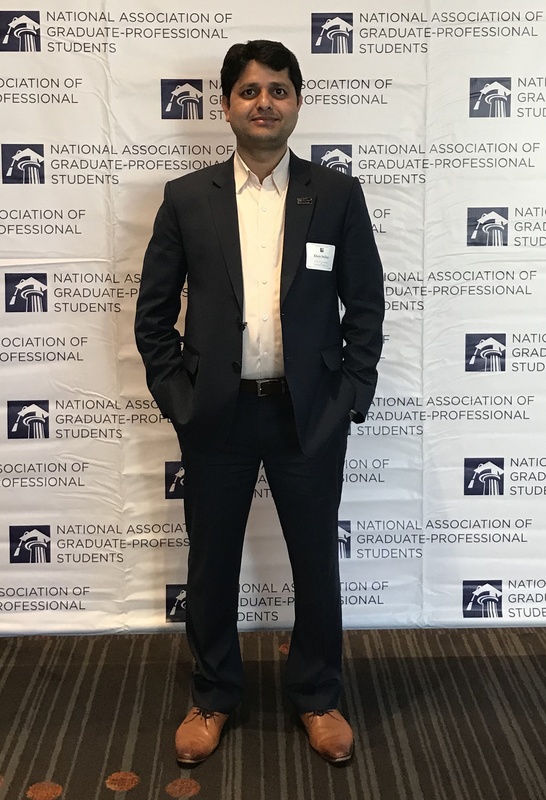 During the semester, I participated in many events of the World Bank, the Center for Strategic and International Studies (CSIS), the Brookings Institution, the National Association of Professional-Graduate Students (NAGPS) among others. The Global Partnership for Social Accountability (GPSA) forum of the World Bank was held with the theme “Money Matters: Public Finance and Social Accountability for Human Capital.” I found this event very valuable as I was able to meet and interact with many activists working in the field of social accountability, governance, and education. 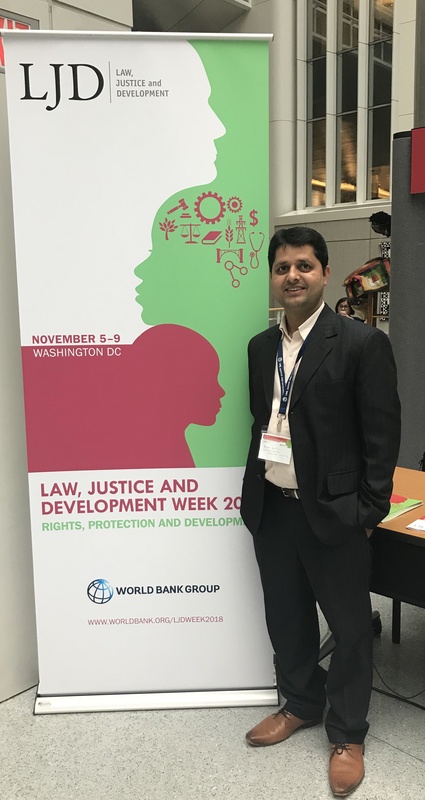 The second conference I participated in was Law, Justice and Development Week 2018. Interacting with justices, lawyers, students, and development workers from all over the world was a very enriching experience. Hearing their perspectives and best practices in relation with law, justice and development which are, as we know integral parts of sustainable development. Bonus: Hear Khem speak about his Maxwell Experience at IIE’s conference. This Fall I had the opportunity to intern abroad in Santiago, Chile at Fundación Multitudes as an Operations intern. This internship provided me the opportunity to learn about civil society in Chile by educating locals on their right to be heard in government. The mission of Fundación Multitudes is to reduce the gap between citizens and public institutions, working with a strong emphasis on cross-cutting issues to achieve agreements between the government and different sectors of civil society, including the private sector. All of the above encourages citizen participation by raising standards of transparency and open government in state agencies. I specifically worked on strengthening tied with The Community of Democracies (CD) which is an intergovernmental coalition of states established in 2000 to bring together governments, civil society and the private sector in the pursuit of the common goal of supporting democratic rules and strengthening democratic norms and institutions around the world. I worked directly for the CEO of Fundación Multitudes who is also the Chair of the ISC for The Community of Democracies. 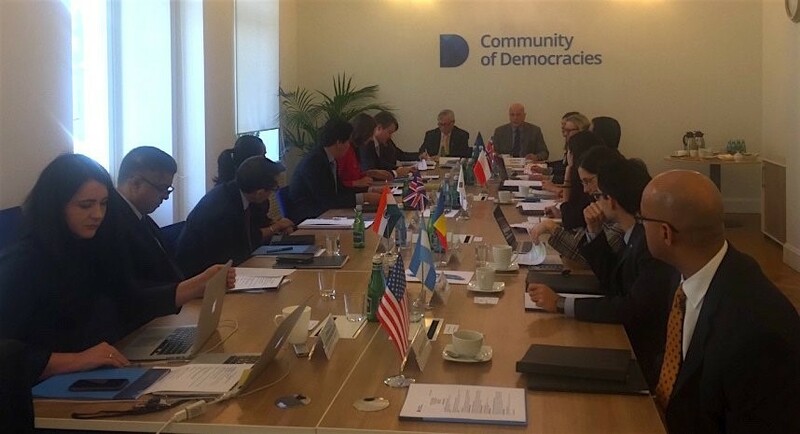 The ISC advises governments on the actions needed to enable civil society to work freely to strengthen democracy, rule of law, and protection for the fundamental rights enshrined in the Warsaw Declaration. The ISC coordinates a variety of initiatives for civil society, including the civil society forum taking place in the biannual Ministerial Conferences of the Community, which results in a set of recommendations to the Ministerial Declaration made by civil society representatives. I was in charge of translating various documents from Spanish to English for The Community of Democracies. 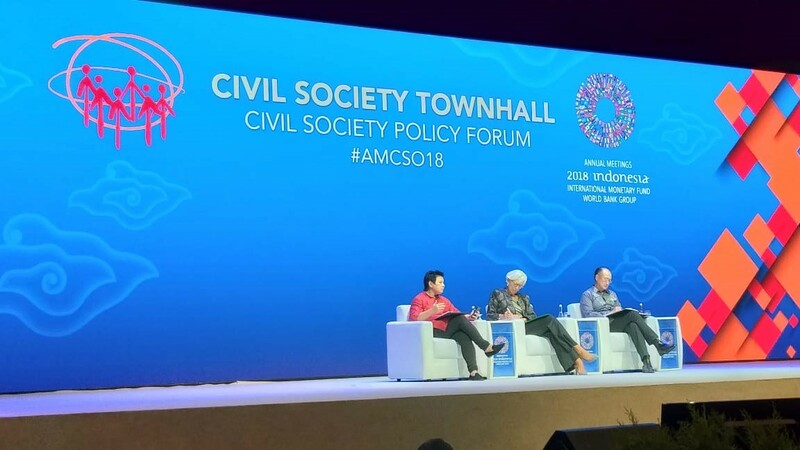 The Civil Society Policy Forum (CSPF) in Indonesia hosted by the IMF and World Bank Group ‘s annual meeting, which provides a space for CSOs to exchange dialogue and views with IMF and World Bank staff, their peers, government delegations, and other stakeholders. Fundación Multitudes is a very small non-governmental organization that is composed of 10 employees who take on various roles. Due to this I was able to work closely and in the same office as the CEO and the project director. I wrote two communication protocols to define communication between The Secretariat General of the Community of Democracies and the Chair of the ISC. The protocol included information regarding civil society matters and how it can be communicated properly to the governing council. I was given liberty to design and write it according to my best abilities which was later on reviewed and signed by the CEO of Fundación Multitudes and Secretariat General of The Community of Democracies. The second project I was in charge of was the creation of a branding and internal communication proposal where I was in charge of designing the new logo for The Community of Democracies. This project challenged me in various ways since I do not have a background in design or marketing and was not sure how to design a logo. One of the things I learned through this internship is that when you work for a small organization you will be asked to do projects outside of your field of expertise. This not only challenged me but helped me gain new skills that I can further develop in another position. The last project I was in charge of was the creation of a capacity assessment and survey. This was designed to help Community of Democracies identify areas in which all 25 members of the organization need help in. This was designed to help establish a concrete foundation between members of the organization by identifying the needs and capacities of all 25 members. While I interned for Fundación Multitudes I worked with their external partner where I was in charge of designing projects. As I end my semester here in Santiago Chile I am very appreciative of the opportunity I had to intern while taking courses. This summer, I was fortunate to intern at Catalytic Communities, an advocacy NGO and think-tank based in Rio de Janeiro. The organization runs a variety of programs, but my internship was primarily focused on the Community Land Trust initiative being headed by the organization’s Executive Director. 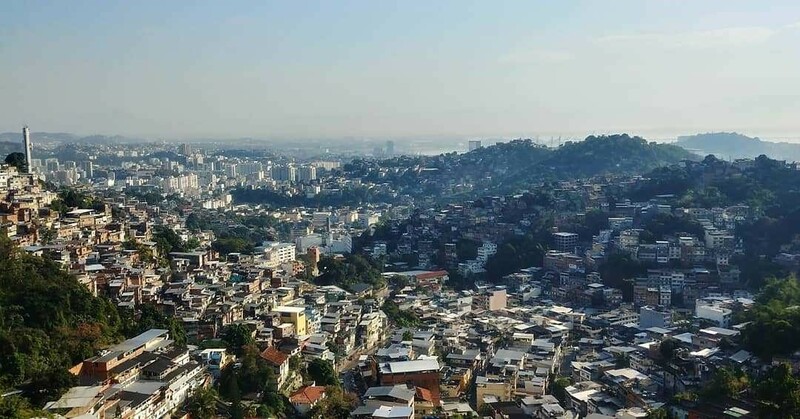 Catalytic Communities is dedicated to formulating networks of discussion between the informal and formal settlements of Rio, community mobilization, and a participatory and asset-based model of development. The core focus of my internship was on the Community Land Trust (CLT) Initiative, which is a community-managed nonprofit organization that is established to provide permanent affordable housing and build community assets. My main role on this project was to draft materials for our planned workshops in August and to do research on the diverse application of the CLT model. My research on CLT case studies and their diverse application was published in an article for the NGO’s sister organization, “Rio on Watch” , which is a news source that profiles residents of informal settlements, informal settlement regularization efforts in Brazil, and local events in communities of interest. This research was imperative to my understanding of the applicability of the CLT model in Rio de Janeiro, as well as provided support for my education of other interns in my organization. While I was mainly concerned with the development of the CLT Initiative in preparation for our August workshops, I was able to engage with interns completing a variety of projects. The most important of those being a study on evictions. I joined fellow interns on community visits to profile residents all over the city of Rio. 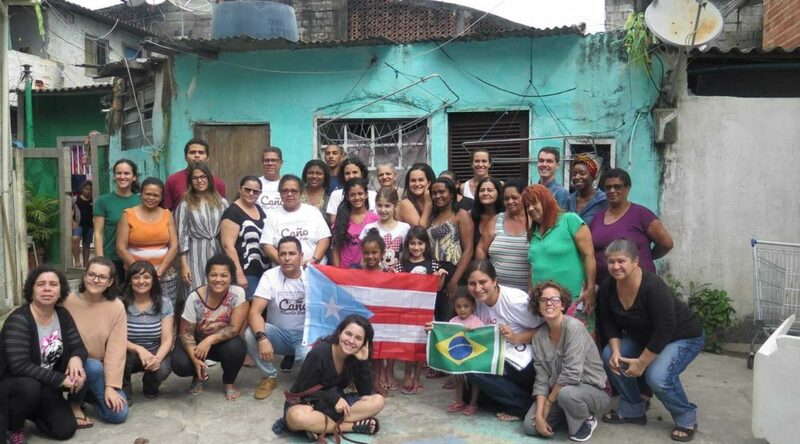 These community visits were essential in helping me comprehend the effects of land speculation, post-Olympic development issues in Rio, and the failure of the government to provide essential services to its residents. In addition to these community visits, I attended community events. These community events were generally in the same communities that we profile or have the intent to profile. I emphasize these events as this enabled us as interns to see the residents of these informal settlements and strengthen our friendly relationships with them. It was also beneficial in simply getting to understand the culture of Rio. Lastly, I took the time to explore Rio’s sprawling natural landscape. I went on several hikes and, of course, visited the beach. It’s amazing to be laying on the beach in Leme staring at the waves and seeing people rappel on the Sugar Loaf Mountain in the same frame. I also went on a trip to Sao Paulo. The main intent on that trip was to, of course, enjoy myself but it provided an important comparative experience to the function and systems of Rio de Janeiro. My time in Rio was truly amazing. I am so lucky to have been working for a great organization like Catalytic Communities. I am grateful to have been a witness to a variety of social issues in Rio including community militarization, gentrification, and land speculation. I walk away from this experience with a confidence in what I want to accomplish professionally, one that I didn’t have before. Victoria Fanibi is a graduate of Maxwell’s MAIR program. 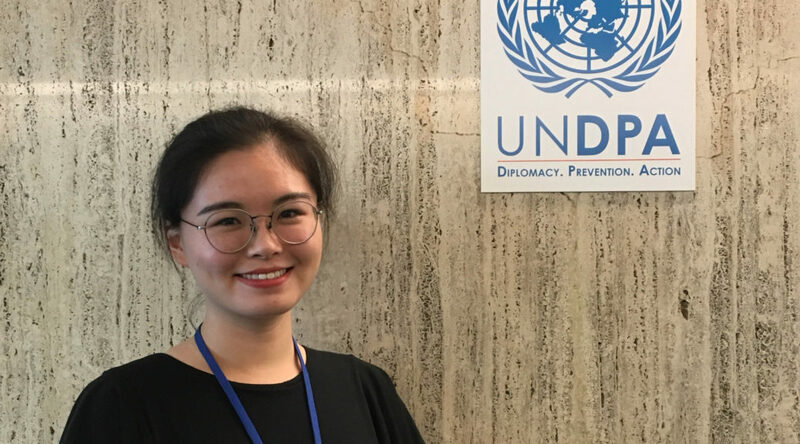 After completing her independent internship in Brazil, she finished her degree through Maxwell’s World Partner Program with Tsinghua University in Beijing. 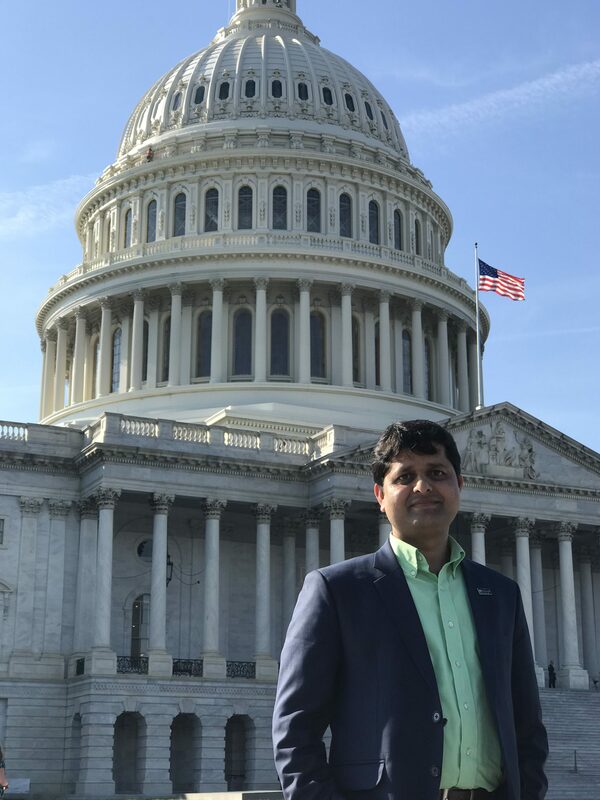 For my summer semester, I participated in the Maxwell in DC program. While in DC, I interned for Fund For Peace (FFP), a non-profit organization that focuses on conflict reduction and violence prevention. FFP uses data analysis and risk assessment tools to provide information on violence, risks, and vulnerabilities around the world. The organization’s work focuses on conflict early warning responses, election violence prevention, capacity building, responsible business practices, and combating violent extremism. While interning at Fund for Peace, I had the chance to be involved in different projects. For instance, I participated in a project on election violence prevention in Nigeria. During this project I conducted research on election violence using risk assessment tools and quantitative data. By analyzing the data from previous election years, the project attempted to understand trends of violence in order to predict strategies for the prevention of violence in the country’s next elections in 2019. I also worked on a conflict early warning capacity building training for the African Development Bank. I collaborated in putting together a case study that would be used in the training of AfDB economists on how to face vulnerabilities and prevent violence in the African continent. In addition, I was also engaged in research projects on ICTs and Blockchains in Sub-Saharan Africa and GBV in small-scale mining. 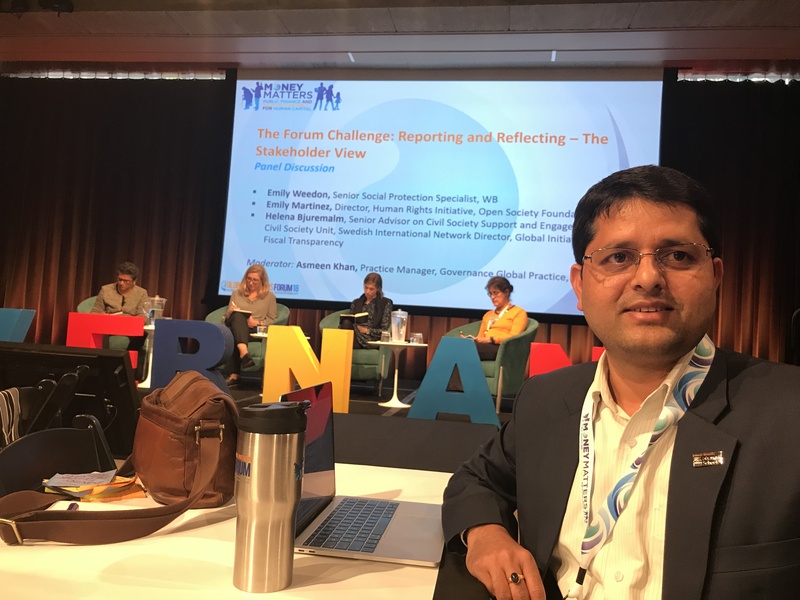 My work at Fund For Peace was a very enriching experience that taught me more about conflict early warning prevention outside of academia. I got to experience how organizations use conflict resolution and violence prevention strategies to affect change. More so, I also gained valuable skills in using different types of methodologies and assessment tools to conduct substantive research. Overall, my internship at Fund For Peace was a valuable and educational opportunity that will contribute to my future career goals. 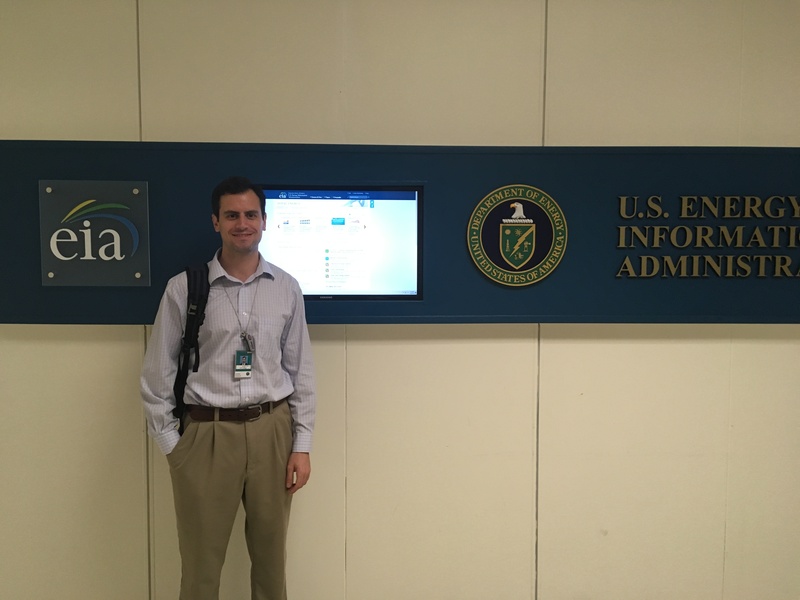 I spent this summer interning at the Department of Energy’s US Energy Information Administration, commonly known as EIA. 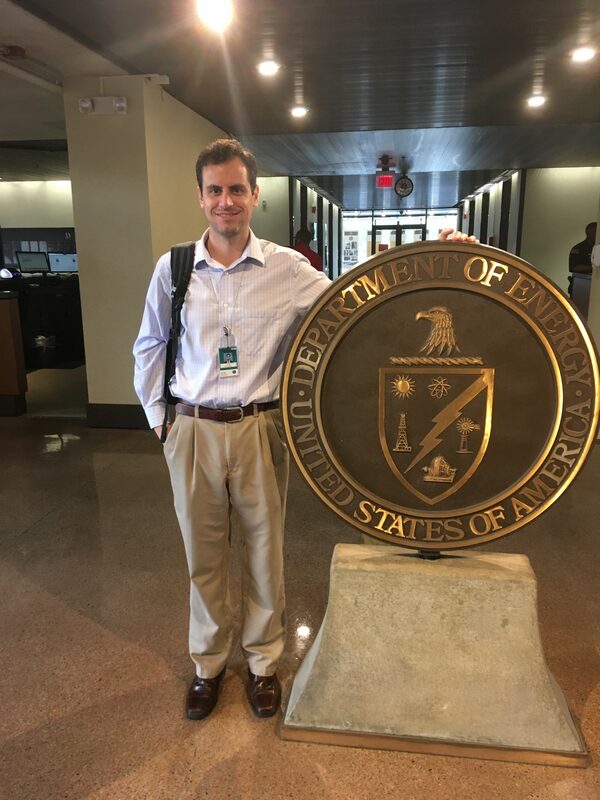 I had applied to a general internship with the DOE, and was ultimately placed at EIA. 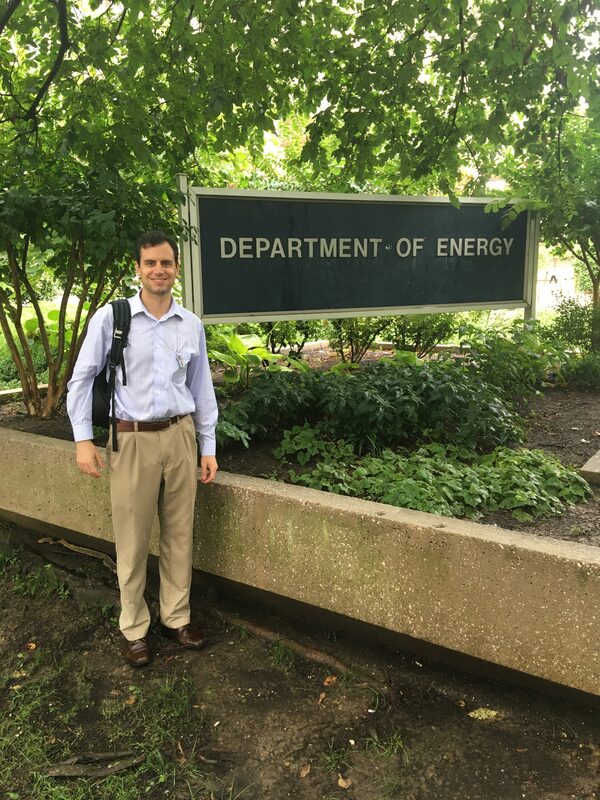 Before the internship began, I had a limited knowledge of energy and was unfamiliar with the work EIA did. After interning at this organization, I can say was very lucky to have this experience. I had a hunch that I would like working in energy and I was right. EIA primarily produces statistics, analyses and forecasts for the US energy market. However, my specific office – the Office of International Energy Analysis – publishes international energy statistics and conducts analyses on energy markets in foreign countries. As an intern, I had the opportunity to both work in statistics and perform analysis. With the help of full-time “feds,” I transformed data from other sources and analyzed it against ours. I also conducted my own analysis on the energy scenario in various countries. I learned an incredible amount and found my work fascinating. Energy markets are an interesting mix of economics, politics and science, with many moving parts. I also felt that the work I did was important. Of all places in the energy sector, I feel fortunate to have landed at EIA. 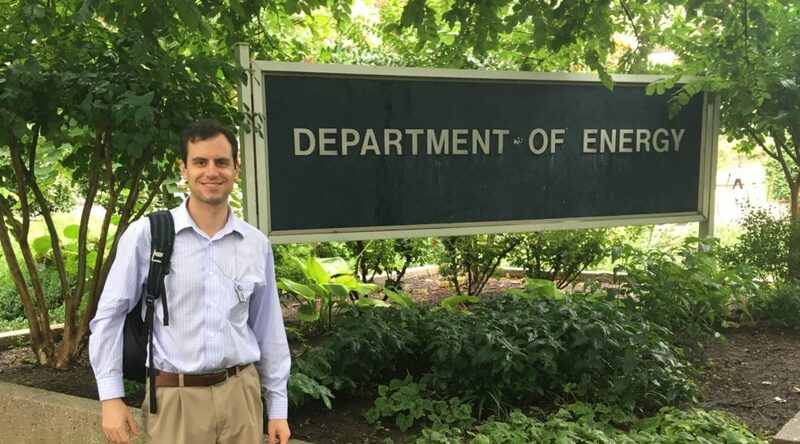 It is considered one of the premier sources of energy data in the world, and used by nearly everyone in the energy sector, including many people I have met in Washington. My coworkers are also exceptional people. EIA is an interesting mix of economists, scientists and international affairs specialists, many with PhDs. The depth of their knowledge of energy markets impresses me every day. Finally, despite the fact that my coursework in energy had been limited prior to starting the internship, Maxwell and Syracuse prepared me well for the work I did. The three economics courses I took at Maxwell helped me to understand the dynamics of energy markets and prices, which I come across daily. Meanwhile, the Data Science course I took at the iSchool provided me with skills I utilized in some of my larger data projects. While energy is a new field for me, the skills I took from graduate school were highly applicable and practicing them on the job was a gratifying experience. Ian Gottsfeld is a recent graduate of the MAIR program. He also interned at the U.S. Government Accountability Office during his final Fall Semester.